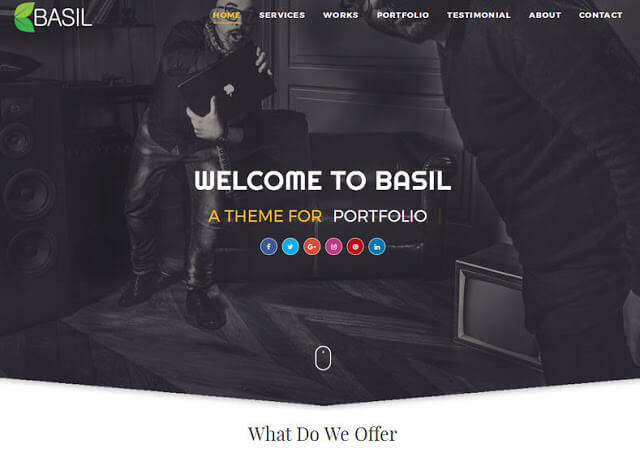 Basil Portfolio Blogger Template is a Modern and Clean MultiPurpose Blogger Template for showcase your portfolio, cv, and personal information. Built using HTML5 and CSS3 with a clean code so that it can be edited without complications. The template is 100% responsive and very easy to customize to your purpose.Customizing is easy even for beginners, but if you need help with customizing or setting up this theme, we will be glad to help you. Just contact us via our contact us page.